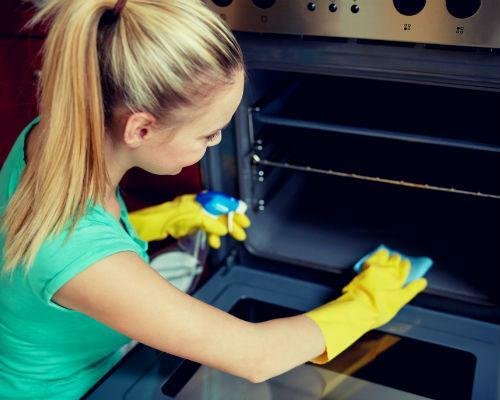 You may have heard of convection ovens, but do you know what they do? This appliance has been around for years and for a good reason. It’s an oven that circulates heated air with a fan. So instead of food just being in a hot oven, a convection oven will blow hot air onto the food allowing it to cook quicker and more evenly. This is beneficial for your food and for your wallet since the fan saves on energy. Have more questions or concerns about convection ovens? 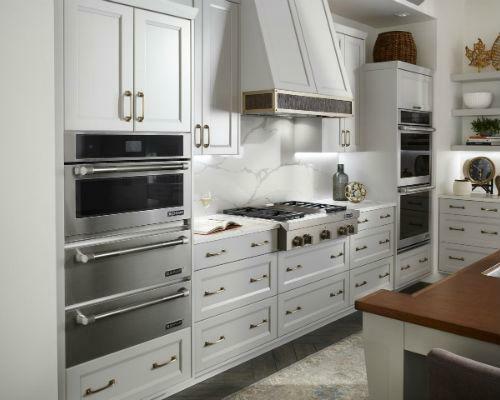 Here are a few frequent questions on convection ovens that I took the time to answer for you. 1. Does it matter what pans I use? No, it doesn’t matter what pans you use, but some do work better than others. For the best performance, use pans with shorter sides so as to not block airflow to the food. 2. How much faster does food cook in a convection oven? 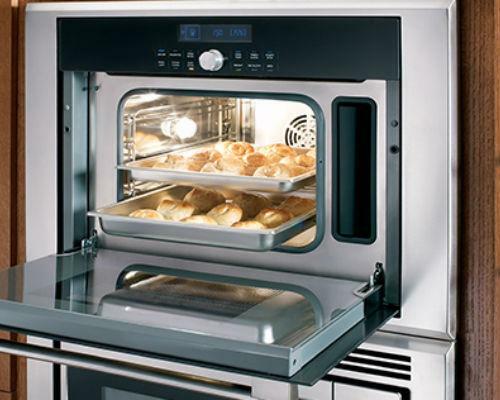 A convection oven has been known to cook food between 20 and 30 percent faster than a regular, conventional oven. That saves a little bit of time in the kitchen! 3. What is carry-over cooking? This term refers to when you take your food out of the oven, but it still continues to cook. The larger the meal taken out of the convection oven, the longer it needs to sit before being cut into. We suggest waiting about 10 minutes cutting into a piece of meat, just to give you an idea. 4. Can I cook a couple of things at a time? Absolutely! 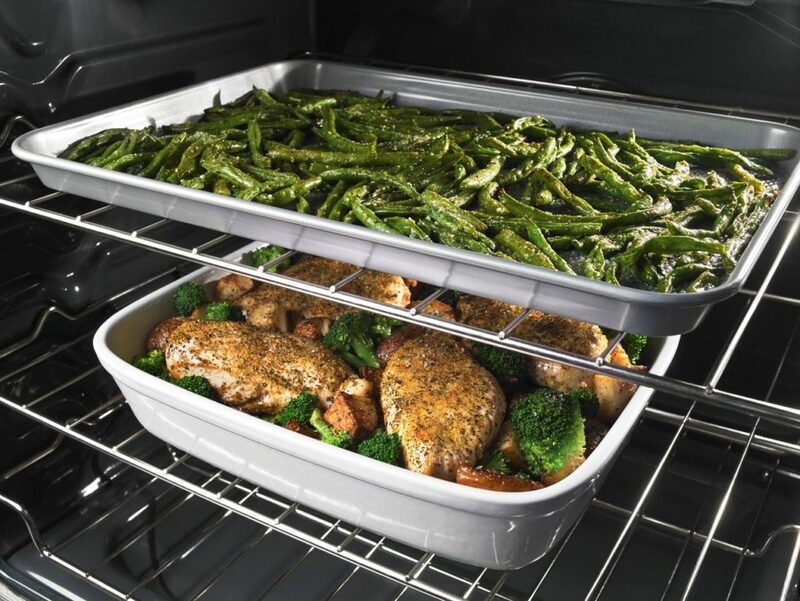 Instead of having to switch out different dishes, or place them on specific racks, the convection oven will evenly cook everything no matter where it is located. The hot air flows throughout and consistently cooks it all. Kitchen appliances are investments, but when they are well priced as a Whirlpool Convection Oven, they’re worth it. 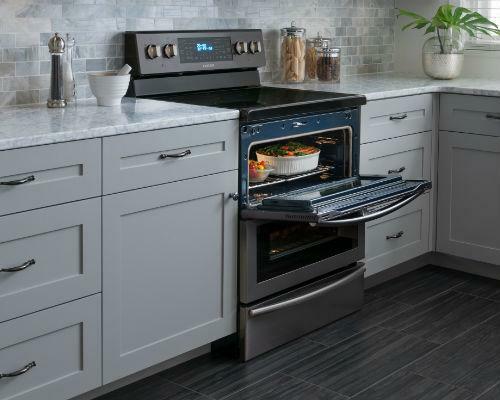 Want to learn more about these Whirlpool appliances? Visit your local BrandSource appliance store for more information! 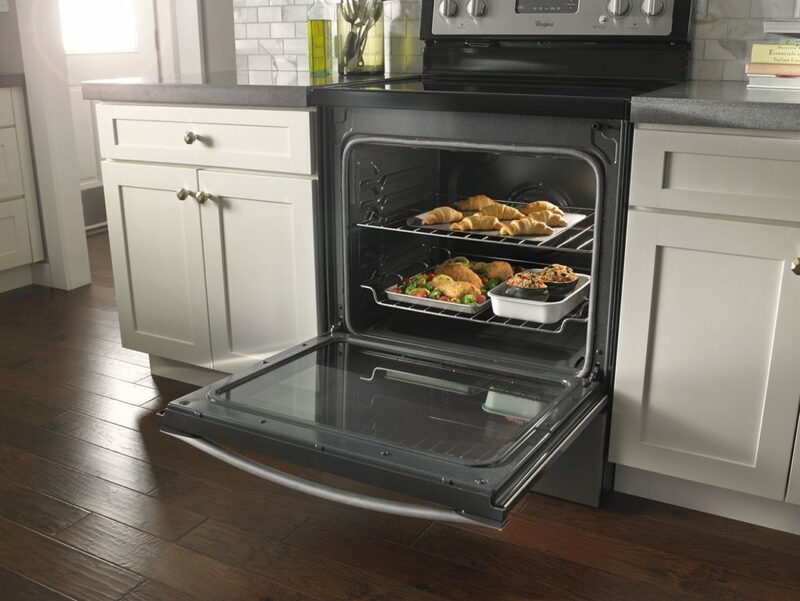 Our qualified appliance experts will be happy to show you and explain all the benefits of using a convection oven.